I can't believe it's been nearly a year since I wrote a Squeaky Wheel post. WOW! I have another one plus an update on a previous one coming up. I went back and spent some time looking over them and adding the label "Squeaky Wheel" to make them easier to find going forward. One quirk I noticed is that I was calling them "Squeaky Wheel - Update # . . ." Why the need for the word update? It's not like they were each building upon each other or something although a couple were so going forward I'm taking that word out. Anyway, this Squeaky Wheel is a fun one, AND it has a video! Here goes . 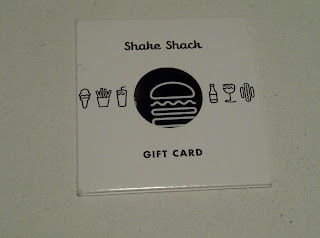 . .
Last month my church had a women's playgroup outing to Shake Shack. The location they chose was Madison Square Park, the original location. 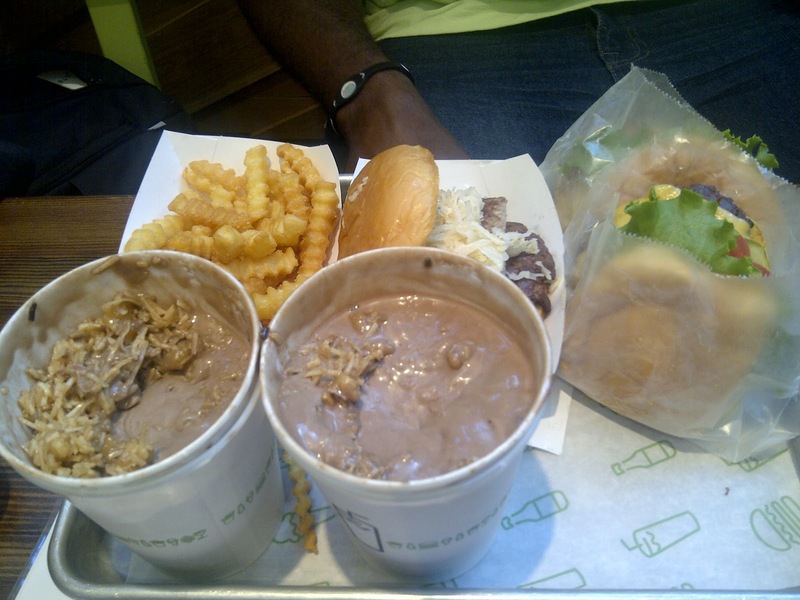 I was introduced to Shake Shack by my friend Mildred who now lives in Zurich. It was one of the lasting impressions she left on me before she moved abroad and boy am I ever grateful for it! I've blogged about Shake Shack before and have visited every location in NYC except for the ones at Citi Field and Brooklyn. I've even accompanied my family to the D.C. location when we visited over the summer. When Mr. Love Bird and I go to Vegas we always go to In-N-Out Burger and a debate ensues over which is better Shake Shack or In-N-Out burger and while sometimes the recency effect comes into play overall, Shake Shack wins most of the time. Their secret blend of meat has been written about in the local press, and it is something that I am truly grateful to the cows who have scarified their lives on its behalf. It is divine! Anyway, the lines at Shake Shack are known for being long. Whenever I take guests there I warn them that we are about to wait at least 1 hour for a burger, yes, a burger. And while they are daunted at first after they have partaken in the gloriousness that is Shake Shack they agree that it is well worth it. From the bun to the meat blend to the fresh toppings, it is one. awesome. burger. Now for the squeaky part . . . Although I was prepared to wait in line something seemed off about this particular visit to Shake Shack. It was a late afternoon and the line crawled even more slowly than I was accustomed to and although we got our buzzers and they buzzed, it appeared to be another 20 minute wait after they buzzed before the food appeared. So weird! I noticed they were catering a private even adjacent to the park so I guess they were overwhelmed. Well, that wasn't all. My shake came out warm and watery and so did my sisters! It was like chocolate milk. I was SO disappointed. Also, the squirrels and mice were RAMPANT! Yes, this location is outdoors but for all the times I've been there I had never seen the pests this bad. People were feeding them too making it even worse. The squirrels were dangerously aggressive and mice were running all around our feet. Absolutely disgusting! This destroyed my ability to enjoy my burger (I had given up on the shake at this point). Nia was with me and all I wanted to do was get outta there ASAP! Well, a few days later I got an e-mail from the manager of the Madison Square Park location. It was quite lengthy but he essentially apologized for my experience explaining they can't help the pests, but was going to send a gift card my way. I invited my sister Ariane, who had gone with me to the women's group outing, to come with us Love Birds after church last Sunday. This time we went to the Upper East Side location - it was MUCH better! The best part is Shacktoberfest was going on! We got a bratwurst burger with German slaw, 2 burgers, fries, apfelstreusel shake and a German chocolate concrete. To top it off (and further emphasize what awesome customer service Shake Shack has!) they had accidentally missed our apfelstreusel shake instead giving us 2 German chocolate shakes so they gave us our apfelstreusel shake at no charge! SWEET!